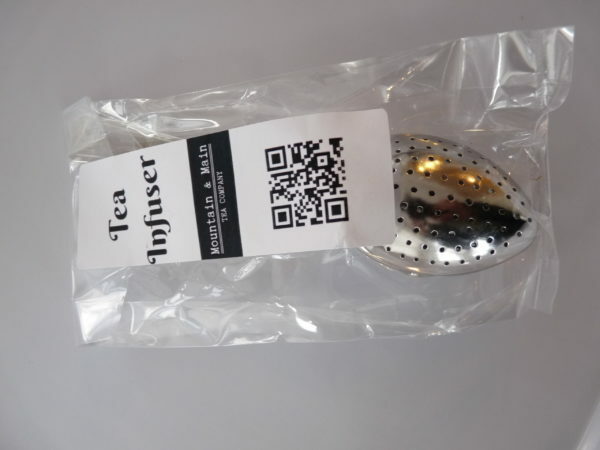 Stainless steel teaspoon infuser. 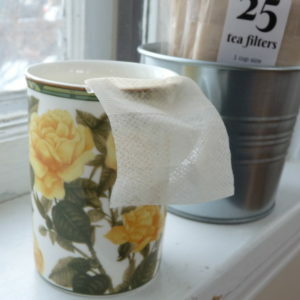 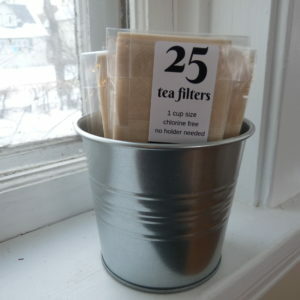 The perfect re-usable accessory for steeping one cup of tea. 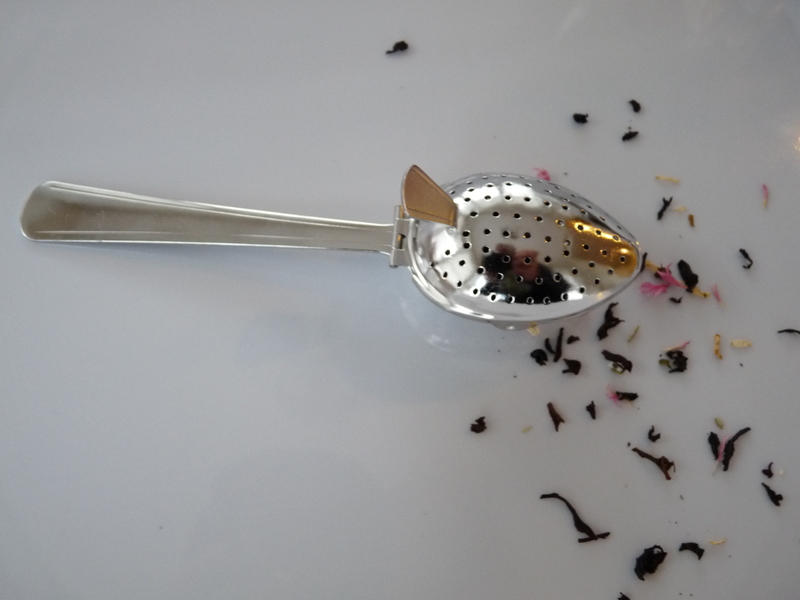 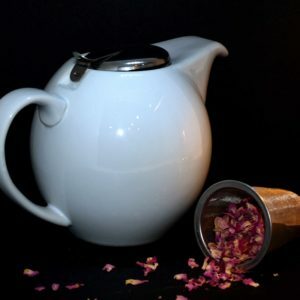 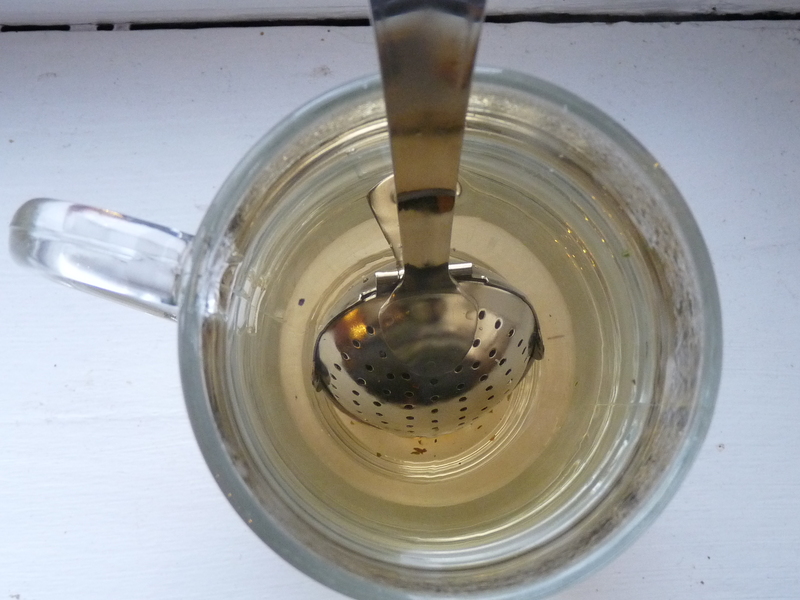 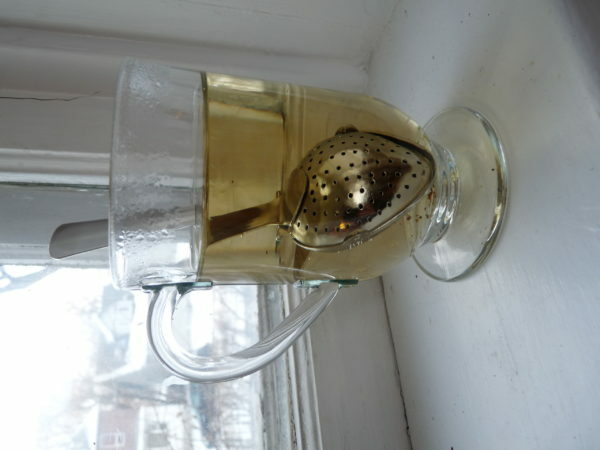 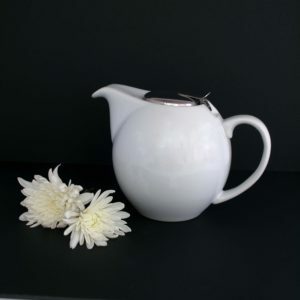 The teaspoon holds the perfect amount of loose leaf teas for one mug, and is easily washable.